When Ventures cofounder Bob Bogle walked onto a Seattle used-car lot one afternoon in 1959, he wasn’t expecting to form the nucleus of what would become the world’s top-selling instrumental-rock band—he was just looking for some new wheels. Fortunately, he ran into aspiring rhythm guitarist Don Wilson instead of some sleazy salesman in a tacky suit. “Honest Don” Wilson managed to get Bogle into a reliable car that he liked, and Bogle returned the favour by helping Wilson dump his car-hawking job for a construction gig. Eventually, the two started talking guitars, and jamming led to the formation of a quartet called the Versatones, which played small gigs in Washington and Idaho. After changing their name to the Ventures in 1960, the band recorded a demo tape that included “Walk, Don’t Run”, a relatively unknown tune by Johnny Smith that Chet Atkins had covered. Unable to secure a recording deal with the demos, the band pressed 45-rpm copies of “Walk, Don’t Run” on its own Blue Horizon label, formed by Wilson’s mother, Josie. They mailed out copies of the infectious tune to local radio stations, and Bob Reisdorff of Seattle-based Dolton Records—who had turned down the tune in its demo-tape form—happened to hear it being used as an “outro” to newscasts on station KJR. The rest is instrumental-rock history. “Walk, Don’t Run” did not lose any money. Neither did Reisdorff. As a matter of fact, the two-minute ditty quickly became a million-selling smash, hitting Number 2 on the national chart (right behind Elvis Presley’s “It’s Now or Never”). It set the band off on a career that has lasted for 38 years and seen worldwide sales of more than 85 million albums (including 30 million in Japan alone, where the Ventures outsold the Beatles two-to-one during the Fab Four’s heyday). 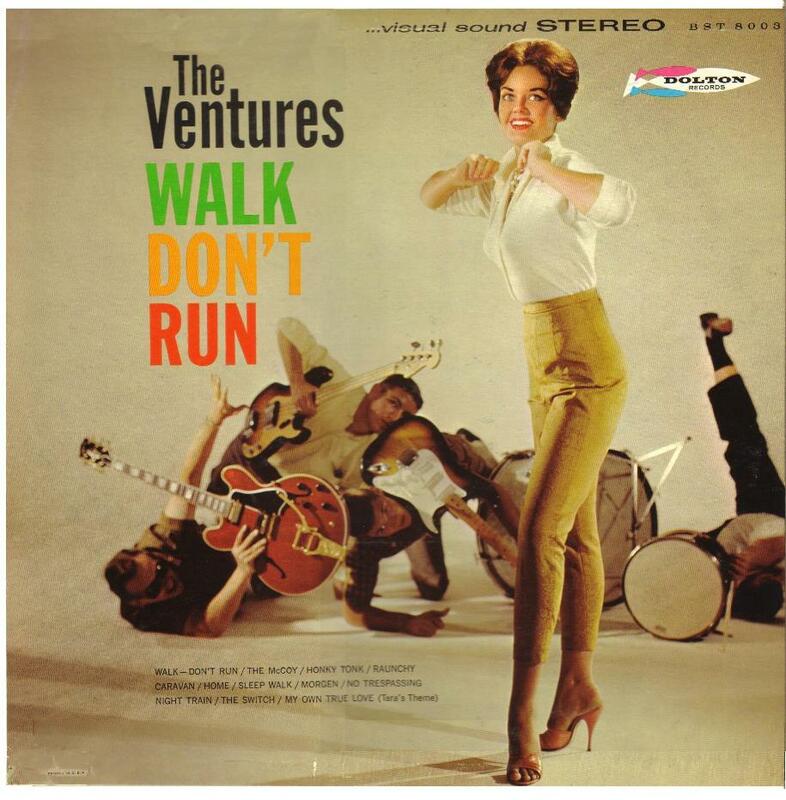 Unlikely or not, “Walk, Don’t Run” proved a brilliant choice for the Ventures, who had another hit four years later with its remade surf rendition, “Walk, Don’t Run ’64”. At least one of those versions will probably make an appearance—along with “Diamond Head”, “Surf Rider”, and “Hawaii Five-O”—when the veteran rockers play Richard’s on Richards on Sunday (November 16). The current Ventures lineup also includes lead guitarist Gerry McGee (former session man for Elvis and the Everly Brothers who first joined the Ventures in ’67) and drummer Leon Taylor, son of the late, great Mel Taylor, who joined the band in ’63 and died last year after falling ill during a tour of Japan. Although nostalgia plays a huge part in the appeal of the Ventures these days, there’s no denying the immense influence the band has had on the rock world ever since “Walk, Don’t Run” hit the airwaves. By specializing in instrumentals with catchy melodies and cool chord changes that were simple enough to copy, the group offered inspiration to anyone who dared plug in a guitar and fiddle with a whammy bar. As for the guitarists who inspired him to put pick to string, the Tacoma-born Wilson gives most of the credit to legendary twang master Duane Eddy, who, as Wilson enthusiastically reports, appears on the band’s next CD, Wild Again 2. That disc also includes guest performances by Jeff Baxter (Steely Dan, the Doobie Brothers), another Ventures disciple on a list that includes Joe Walsh, George Harrison, Rick Derringer, and Stevie Ray Vaughan. 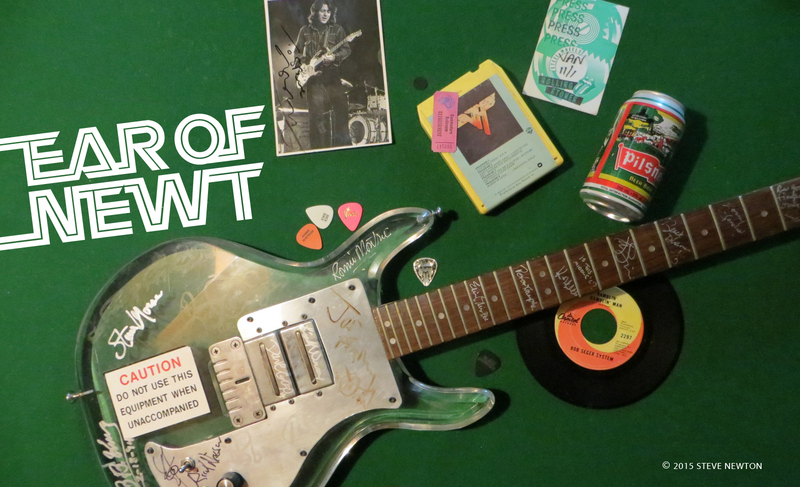 Although most of the famous players he’s helped inspire are known for their accomplishments on lead guitar, Wilson has no regrets about his steadfast role as the Ventures’ rhythm guitarist. “I’m a little different than the ordinary rhythm-guitar player who’s got to just sit back there and strum,” says the 64-year-old rocker. “I have a few things of my own, like the rundowns on ‘Pipeline’ and ‘Walk, Don’t Run ’64’, so I get a little glory,” he adds with a laugh.